We currently have both On-site and Virtual space available. On-site space is often filled but we do keep a waiting list when necessary. Small business is alive and well in Sarasota. Our clients often outgrow our office space and move to larger accommodations so please contact us for availability and rates. We always have Virtual space available. Don’t you think it’s time to move your office out of your spare bedroom? Southgate Office Space has suites from $300.00 per month. There’s no need to commit to an ISP service provider because Southgate Office Space provides Verizon FIOS 35/35 wireless internet access as an additional benefit included in your monthly rent. When it’s time to move your office from your home to a professional business address, we’re the perfect fit. If your current office overhead has you searching for a lower cost alternative, we’re the perfect fit. Need a satellite office in Sarasota? We’re the perfect fit. Need a business address and occasional use of a conference room to meet with clients? We’re the perfect fit. If you’re upsizing, downsizing or rightsizing Southgate Office Space may be just the right space for you and your business. Southgate Office Space has private office suites available for lease on a month to month basis. No expensive commitments or long term arrangements are required. 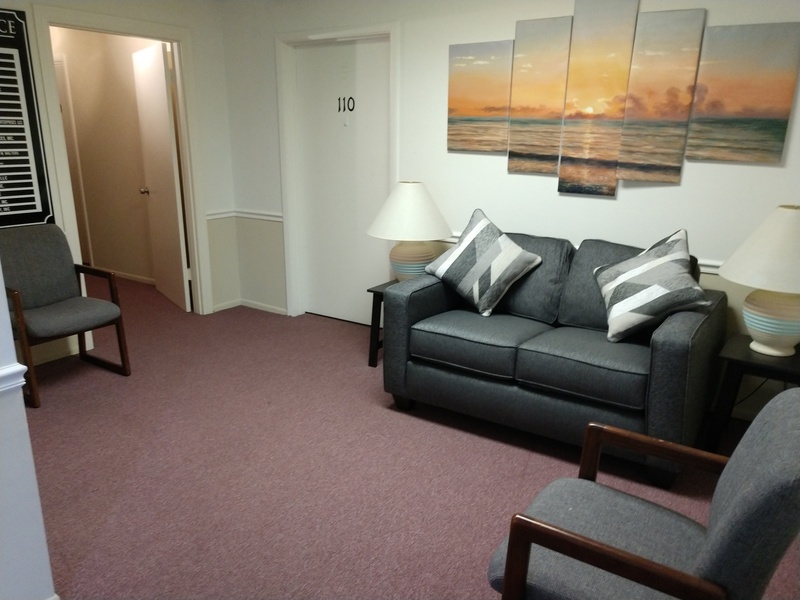 If you need a quiet comfortable place to work in a convenient Sarasota location, we may be just what you’re looking for! Monthly rental of an “On-site Office” includes access to your suite 7 days a week from 6:00am until 10:00 pm every day of the year. Secure space with locking door, not a cubicle or shared space. Electric and water are included. Free Verizon FIOS wireless internet access is also included. Your suite rental also includes a business address with suite number, a shared reception area and use of a common conference room. There is easily accessible parking and the common areas of the building have video surveillance.